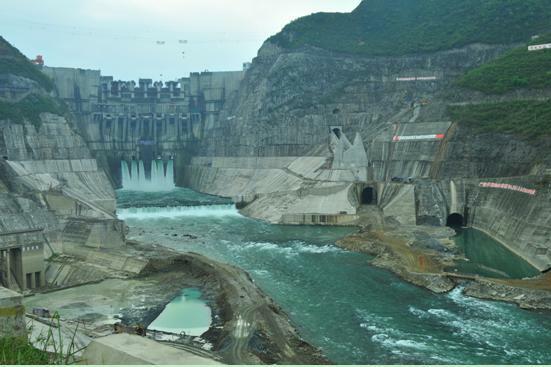 Located in Yuqing county, Guizhou province, Goupitan Hydropower Station has completed construction on its navigational lock, which has a capacity of 500 metric tons and the highest navigation ship lock lifting height in the world. Pingtang county, Guizhou province is the most developed karst area in Southwest China, as it contains the most karst tiankengs (an area of naturally formed pits) of any region in the world. Tuole Ancient Ginkgo Scenic Spot, located in Tuole village, Panzhou, Guizhou province, contains the world's largest concentration of ginkgo. 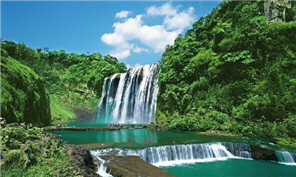 Located in the center of Bijie city in northwestern Guizhou province, Bailidujuan Scenic Spot is a national forest park, national ecological tourism demonstration area, and is among the top ten most attractive tourism areas in Guizhou province. 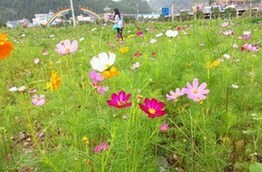 Zhuhai National Forest Park is located in the city of Chishui, Guizhou province. Towering above the landscape of Xiashui village, 16 kilometers outside of Guiyang, is a gigantic Buddha statue peering down at the scenery below. Donghu Park is located in the east of Xingren county, in the Qianxinan Bouyei and Miao autonomous prefecture.